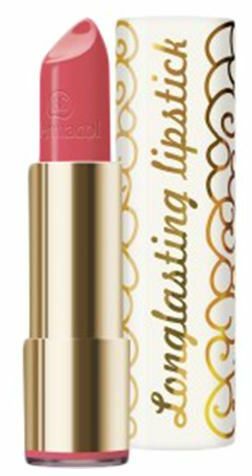 A very pleasant, rich and high coverage texture that perfectly adheres to your lips. Longlasting effects that remain as long as 6 hours. Natural waxes and softening waxes keep lips moisturized and prevent them from drying out. The intensive color pigments add a rich, bright color to your lips, leaving them soft, supple and vanilla scented.